PALM DESERT, Calif. -- Desert Willow Golf Resort, as colorful as it is challenging, seems to make for a good round of golf no matter the score. The 36 holes at Desert Willow Golf Resort rank it as one of the top public facilities in California. There's scenery, water and green everywhere at the 36-hole Palm Desert property, a desert getaway within the hubbub of one of Coachella Valley's most bustling cities. For these reasons, among countless others, Desert Willow's Firecliff course and Mountain View course opened in 1997 to several accolades. Owned by the City of Palm Desert, Desert Willow Golf Resort is one of the finest municipal golf courses in California, a public facility with a non-public feel. The golf courses are maintained like a top-tier private club, and it's a rare day that 18 holes requires more than four and a half hours. Desert Willow was born from years of intricate planning by the city, much involving attention to the resilient desert environment. Palm Desert hired Michael Hurzdan, an authority on golf-course environmental issues, to undertake its vision alongside architect Dana Fry and PGA Tour player John Cook. Local landscape architect Eric Johnson provided a color boost with environmentally sensitive, indigenous plants that require little water. Come the fall of 2010, patrons of the golf course get to experience even more of Desert Willow -– specifically its 19th hole –- than before. Among major renovations to the clubhouse are the expansion of the Lakeview Terrace and Ballroom, which provides additional outdoor dining, a fireplace, fire pit and the outdoor Vista Bar. Inside, the Lobby Bar also receives a facelift, while Desert Willow adds more than 250 parking spaces. "We are very excited to announce that the City of Palm Desert has approved several major improvement projects for Desert Willow Golf Resort," general manager Richard Mogenson said. "This expansion of the Lakeview Terrace, ballrooms and kitchen will provide world-class facilities for our residents and guests." As a whole, Desert Willow Golf Resort offers a wide-open playing experience void of homes and distractions on the golf course that mark many other layouts in the area. Views that span 360 degrees help define Desert Willow, as does its colorful landscaping. Once players delve into the layouts, they discover that the Firecliff and Mountain View golf courses are more than just good-looking; they have some teeth, too. Firecliff is considered the more challenging golf course, perhaps because of its many beautiful water features, more than 100 bunkers and natural waste areas and distance that stretches to 7,000 yards. Golfers must be straight off the tee on the championship layout, and shot-making is rewarded when you avoid the wastelands. Although slow at times, medium-sized greens slope and demand careful read before pulling the trigger. Don't be deceived by the lack of water on Nos. 10 through 16 on Firecliff; plenty of other challenges exist. 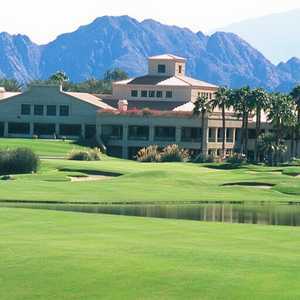 By contrast, the Mountain View golf course complements Firecliff as the resort venue. At 6,900 yards, its wider landing areas allow for more forgiving shots, and more turf allows players to hit away from water that comes into play on seven holes. The par-5 sixth hole, for instance, includes water on both sides of the fairway and requires an approach shot over a creek into the green. Mountain View is a great golf course for players who like to bomb the ball off the tee. It underwent a renovation in 2009 that included a complete reconstruction of greens and bunker complexes, as well as renovation of the lakes in an effort to bring back the contours lost to desert winds and erosion. Few municipal golf courses in California, let alone the Coachella Valley, provide the conditions and quality of Desert Willow Golf Resort. For the player looking for a championship challenge, Firecliff offers length, obstacles and medium greens for target golf practice. Those who seek a resort-style experience will enjoy Mountain View, with its wide fairways, shorter yardage and fewer bunkers. Most first-time visitors to Desert Willow play both, just for good measure. "My buddies and I travel down here every year for a golf trip, and this is the place we come to play," said Marshall Miller of Pasadena, Calif. "Mention Palm Desert to golfers, and they'll think of Desert Willow. The conditions are always fantastic, and both courses have great views and enough of a challenge." Desert Willow Golf Resort features the Palm Desert Golf Academy, one of Coachella Valley's premier golf instruction facilities. The academy uses JC Video computer analysis to capture a golfer's swing, in addition to a plethora of other offerings. Golfers can also hone in on their putting and short game or take a playing lesson with a PGA pro or apprentice. Also part of the academy are the Titleist Performance Institute Full Swing and Golf Flexibility program, a variety of group clinics, custom club fitting and a Fairway Kids Junior Golf Program that offers summer camps and after-school programs. Players simply looking to warm up before a round can visit the all-turf driving range or practice putting green free of charge.